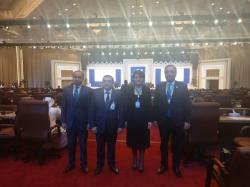 At the 140th Assembly of the Inter-Parliamentary Union in Doha, the Armenian delegation tried to change the text of the draft law in own favor. 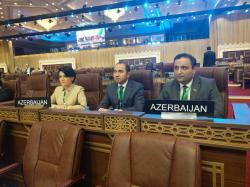 However, the Azerbaijani delegation was able to stop the Armenian provocation in time. 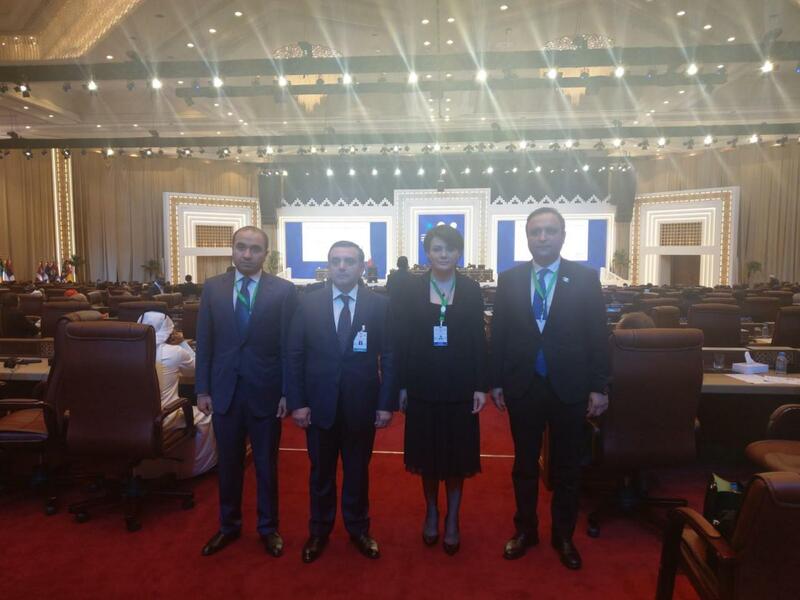 The Azerbaijani delegation, which included MP Shahin Ismayilov, Kamran Bayramov and Sona Aliyeva, participated in the 140th Assembly of the Inter-Parliamentary Union in Doha on April 6 to 10. 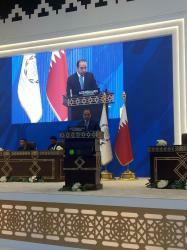 Over 2,200 representatives from over 150 countries attended the event. 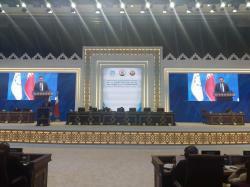 This year, the main issue on the agenda was “Parliaments as a platform for raising the level of education for peace, security and the rule of law”. MP Ismayilov addressed the Forum of Young Parliamentarians of the Assembly and spoke in detail about the youth policy conducted in Azerbaijan under the leadership of President Ilham Aliyev. During the meeting of the Permanent Committee on Peace and International Security of the Assembly, a draft resolution on the “Inadmissibility of the use of mercenaries as a means of undermining peace and violating human rights” was submitted for discussion. Visitors discussed more than 120 proposals submitted by 20 states on this document prepared by the co-rapporteurs Khalid Al-Bakkar and Boris Tarasyuk. Ambassador Extraordinary and Plenipotentiary of Azerbaijan to Qatar Rashad Ismayilov also participated in the Assembly’s work along with the Parliament delegation. 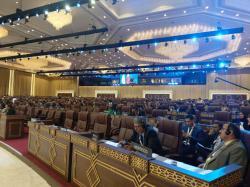 In turn, MP Kamran Bayramov spoke about the essence of the changes proposed on behalf of the Azerbaijani delegation to the draft resolution and told the Forum participants in detail about the laws and measures taken in this field in Azerbaijan. The changes were put to a vote, and were unanimously adopted, despite the protests of the Armenian side. Armenian delegation at the Assembly put forward nine proposals providing for deleting the phrase “territorial integrity” from the text of the draft law and the addition of the words “the right to self-determination of peoples”. During the discussion of these proposals, the Azerbaijani delegation strongly protested and justified it by the fact that these proposals are unacceptable and insisted on their rejection. As a result of voting, the proposals put forward by the Armenian MPs were not accepted. On the contrary, it was considered appropriate to add the words “territorial integrity” to the draft resolution. The conflict between the two South Caucasus countries arose in 1988 due to the territorial claims of Armenia against Azerbaijan. Nagorno-Karabakh and seven adjacent regions - 20 percent of the territory of Azerbaijan - are under the occupation of the Armenian armed forces. The four resolutions adopted by the UN Security Council on the withdrawal from occupied Nagorno-Karabakh and the adjacent territories have not yet been implemented by Armenia.